Chinese Foreign Minister Wang Yi. 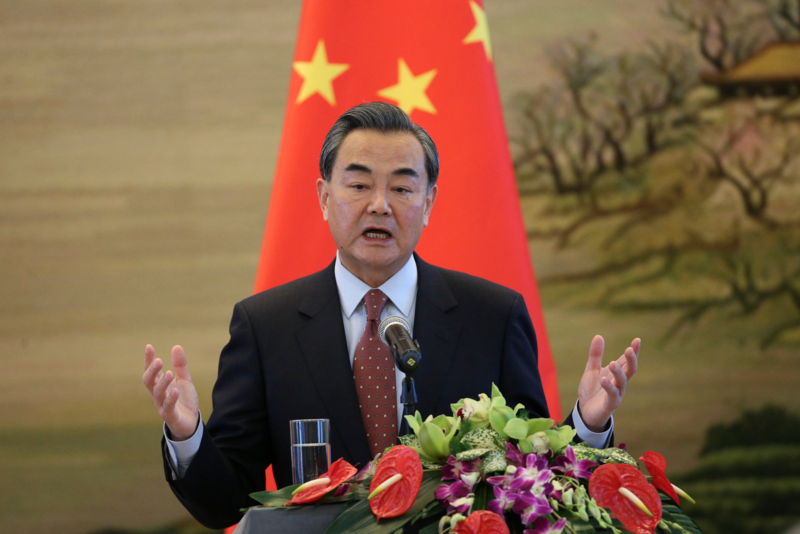 China’s foreign minster Wang Yi defended the People’s Liberation Army deployment of 32 anti-air missiles to a disputed South China Sea Island saying Beijing was well within its rights to send out the batteries. 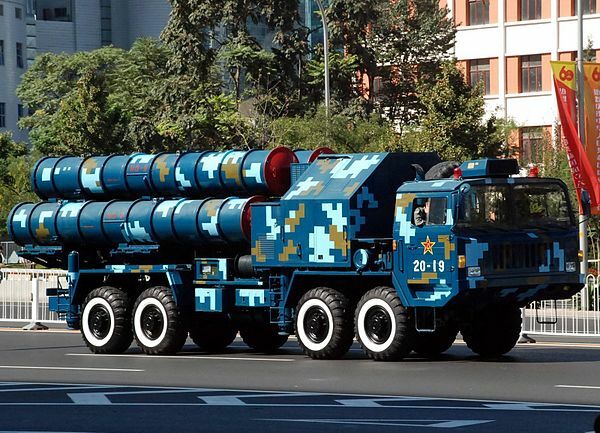 Wang told reporters in Beijing on Thursday the recent deployment of the HQ-9 missiles on Woody Island was “consistent with the right to self-preservation and self-protection that China is entitled to under international law, so there should be no question about that,” following a meeting with Australian foreign minister Julie Bishop on South China Sea issues. Fox News broke the story of the missile deployments to Woody Island — in the Paracel island chain off Vietnam — on Tuesday. Pentagon officials repeated the U.S. universal call for South China Sea disputes to be resolved diplomatically. “The United Sates continues to call on all claimants to halt land reclamation, construction and militarization of features in the South China Sea,” read a late Tuesday statement provided to USNI News from the Department of Defense. Senate Armed Services Committee chair Sen. John McCain (R-Ariz.) issued a statement critical of the missile placement on Woody Island on Thursday. “China’s actions in the South China Sea this week demonstrate Beijing’s continued desire to resort to militarization and coercion to achieve its maritime sovereignty goals and President Xi Jinping’s cavalier disregard for his public commitments to the United States,” read the statement. 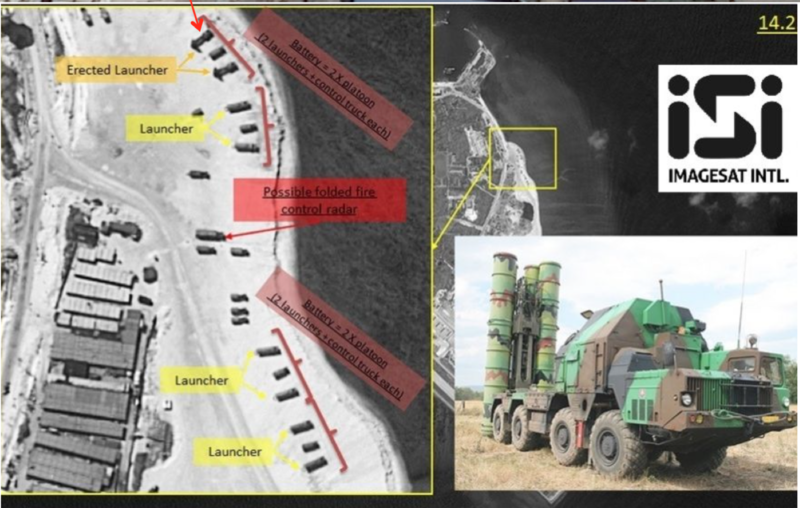 “The vehicles that are assessed to be erected launchers in the image are consistent with other Google Earth images of a production facility outside of Beijing,” naval analyst and retired U.S. Navy Capt. Chris Carlson told USNI News on Tuesday. The deployment of the HQ-9s follow a November deployment of People’s Liberation Army Air Force (PLAAF) Shenyang J-11 fighters to Woody and growing concerns that military movement in the South China Sea may back up a planned future air defense identification zone (ADIZ) over the region or other restrictions to movement. In 2013, China declared an ADIZ over the East China Sea a move contested by the U.S. and its neighbors. Shortly after, the PLA moved fighters to newly built airstrips in the East China Sea to enforce the ADIZ restrictions. If China were to do the same in the South China Sea – where territorial claims and sovereignty are heavily disputed – Beijing would be in violation of international law. While it’s not a violation of international law to place defense systems on a country’s territory – albeit contested — using those weapons as an “implicit threat” to international territory is inconsistent with international law, ,” James Kraska, professor in the Stockton Center for the Study of International Law at the Naval War College, told USNI News on Thursday. The news of the HQ-9s comes less than a month after a U.S. freedom of navigation operation (FONop) by a U.S. guided missile destroyer that came within 12 nautical miles of Triton Island in the Paracels and a week after a new report indicated China was expanding military installations in the island chain.